Have you checked out our Take 3 monthly feature on the blog yet? Three of our Creative Team members design a layout using the same collection (and that collection just happens to be on sale until May 2nd). Check out three different ways to use the same collection. Discover the collection, soak up the inspiration, and grab the sale! Sue: What is a mom? 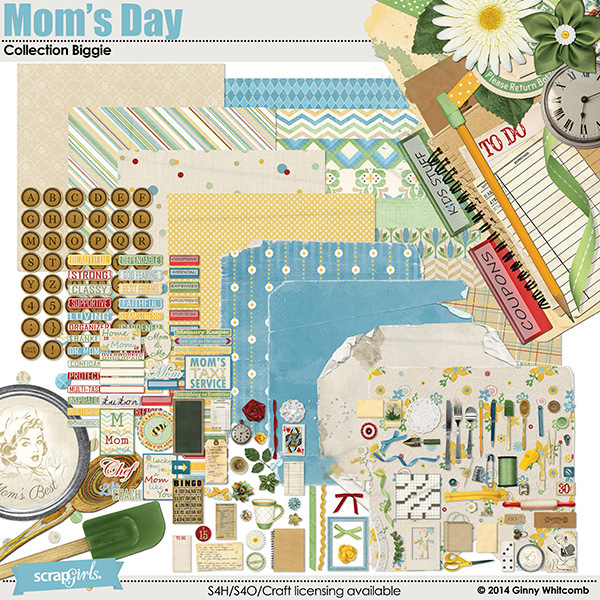 Mom’s Day Collection Biggie has lots of creative word art that describes the many roles a mother fills. It also has a fantastic array of realistic, unique elements to go along with the word art. 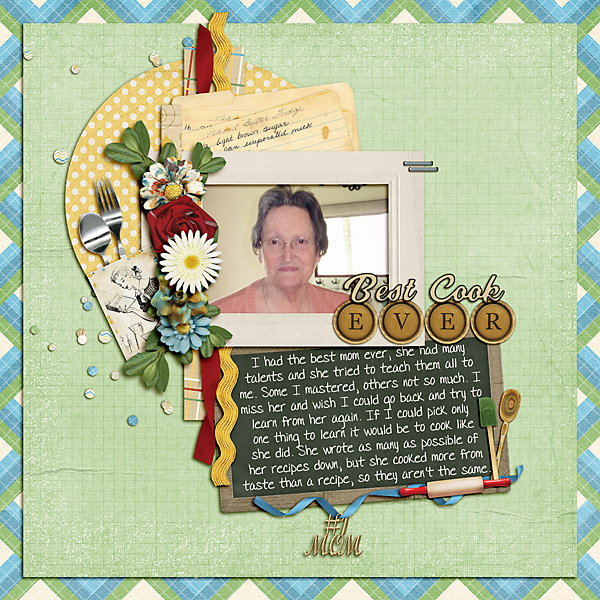 This is the perfect kit for a Mothers’ Day layout, but with all the fun elements and the bright, cheery color palette, you can use this kit for many other types of layouts. Mom’s Day Collection Biggie is a winner! Vikki: I love this Mom’s Day Collection Biggie for all of the great, realistic embellishments! I’m always drawn to embellishments first with any kit, and this kit hits all my marks for the way I scrapbook. The crinkly papers were some of my favorites, too! I see lots of other great pages from this collection. Great versatility! Shauna: I fell in love with Mom’s Day Collection Biggie the moment I saw it. The colors and the rustic feel are wonderful, but what I really love are the elements. I love the mix of cooking items, sewing items, and wonderful flowers. I love kits that are versatile and let me make a lot of different layouts with them. 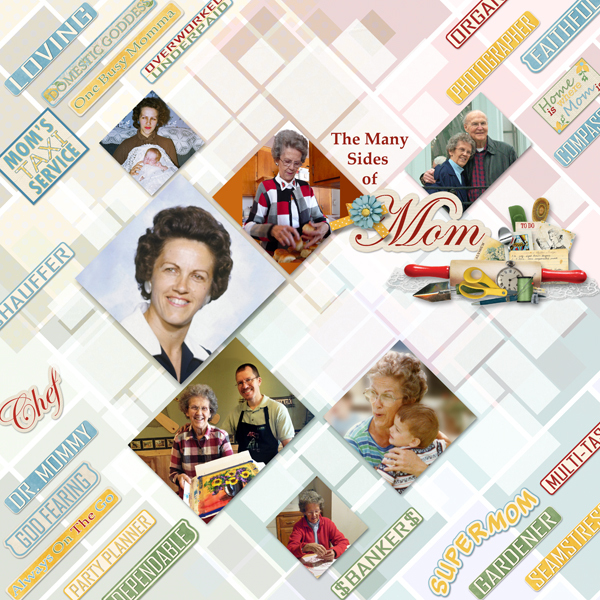 I know I can make mom-themed layouts with it, but I also see so many other ones, too. I look forward to using it again and again in the future.